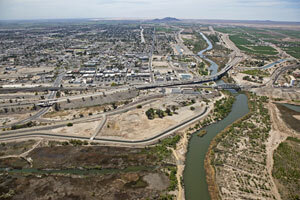 Yuma is home to over 93,000 residents and has a very large tourism industry. By having such a focus on tourism Yuma has many effective advertising opportunities. Some notable sites include the Yuma Territorial Prison and Yuma Theatre. Yuma’s stadium Desert Sun Stadium also has potential for digital signage advertising or any other out-of-home advertising. Another option for effective outdoor advertising is near the universities located in Yuma. One prime example would be digital signage or billboards near Arizona Western College. Zip Codes: 85364, 85365, 85366, 85367, 85369.